Christie started her life in Dentistry in North Queensland where she worked with Dr Richard Moule. She studied Dental Hygiene in Adelaide. After graduation, she commenced work as a hygienist at the Gold Coast in 2011. Thankfully she decided to move to Brisbane and join Coorparoo Family Dental. 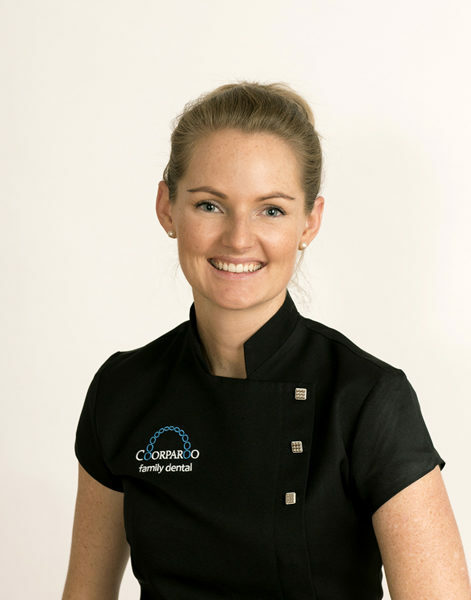 Christie is passionate about the oral health of her patients and ensuring that they have happy and healthy teeth for life. Patients constantly comment that they have never experienced such a thorough and gentle clean. Outside work Christie and her husband Brendan enjoy seeking out good coffee, everything outdoors and keeping their fur children out of mischief.